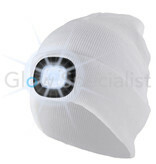 We already sell hundreds of products with energy-efficient LED light but we have something new! 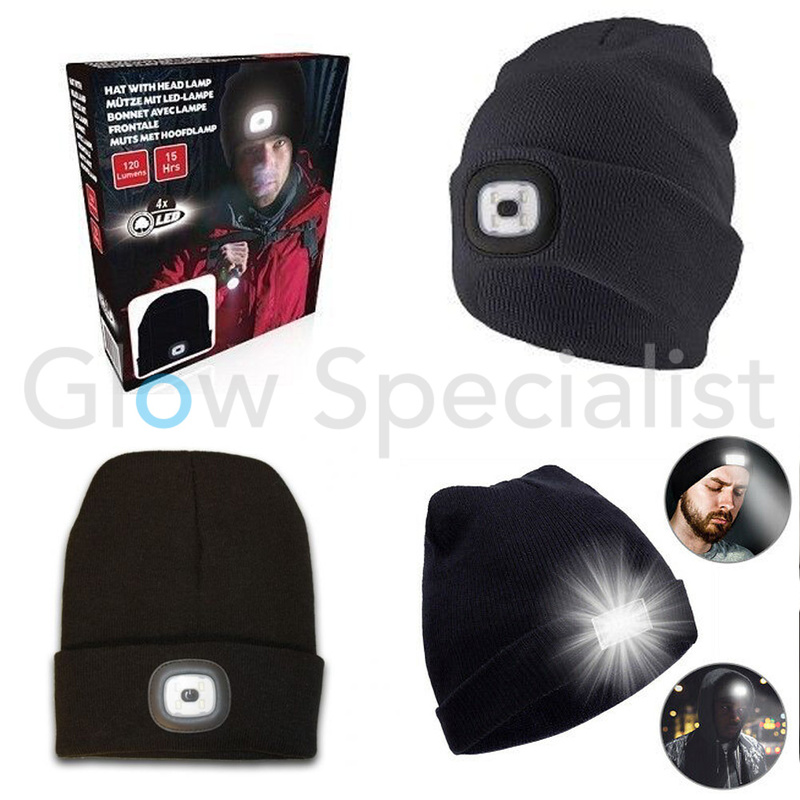 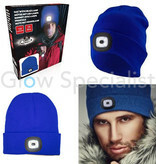 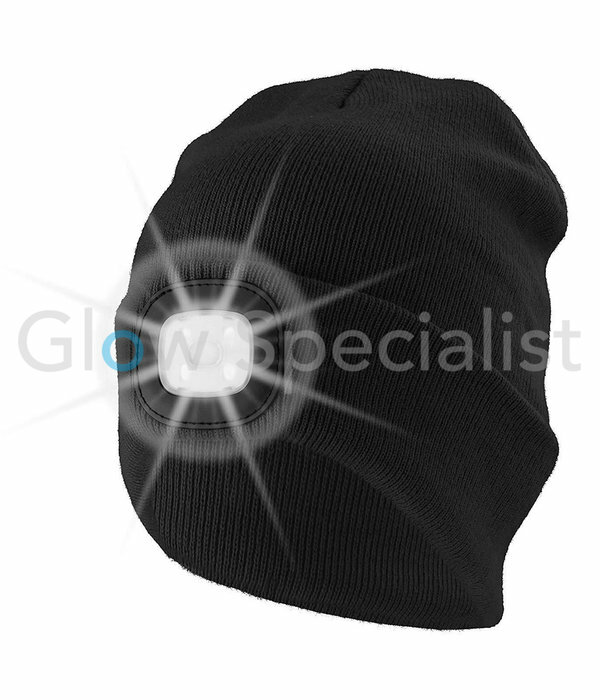 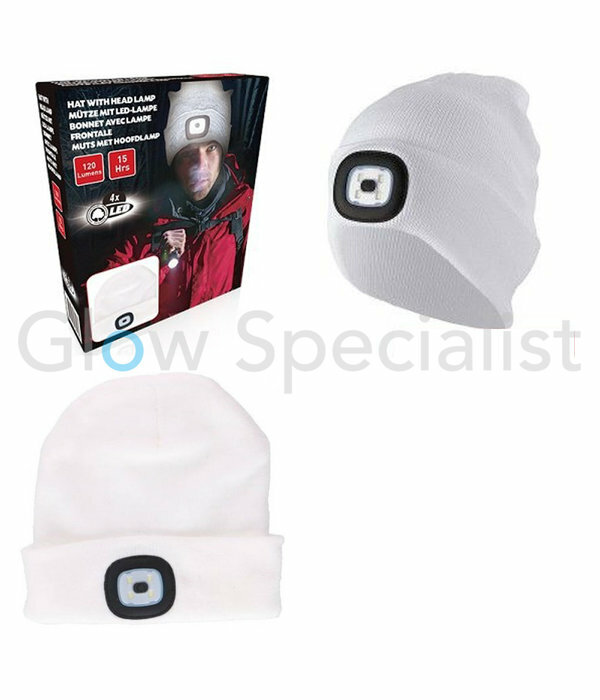 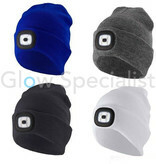 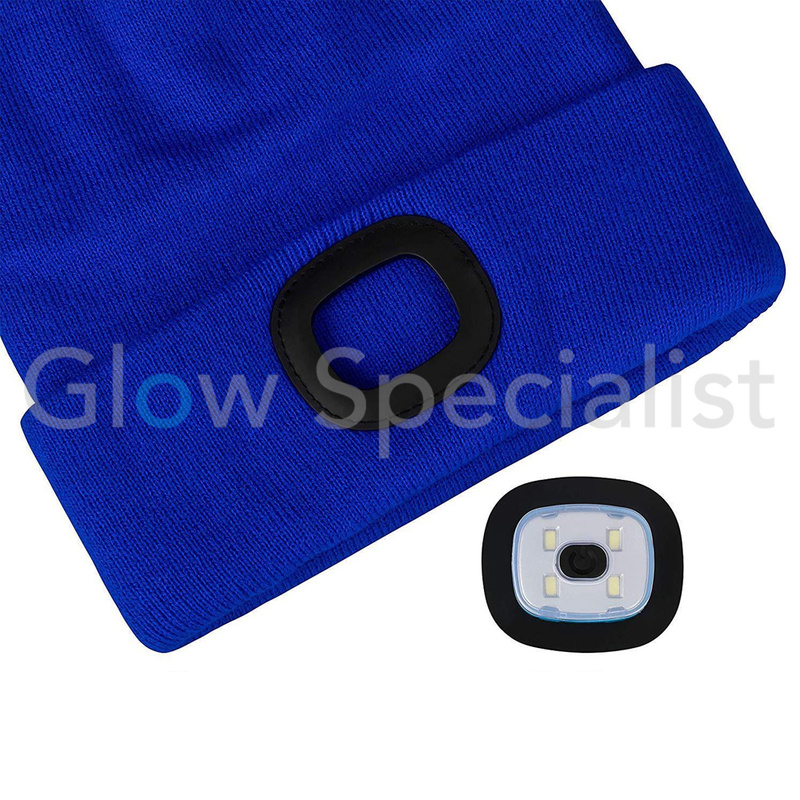 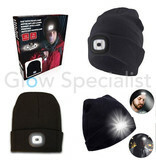 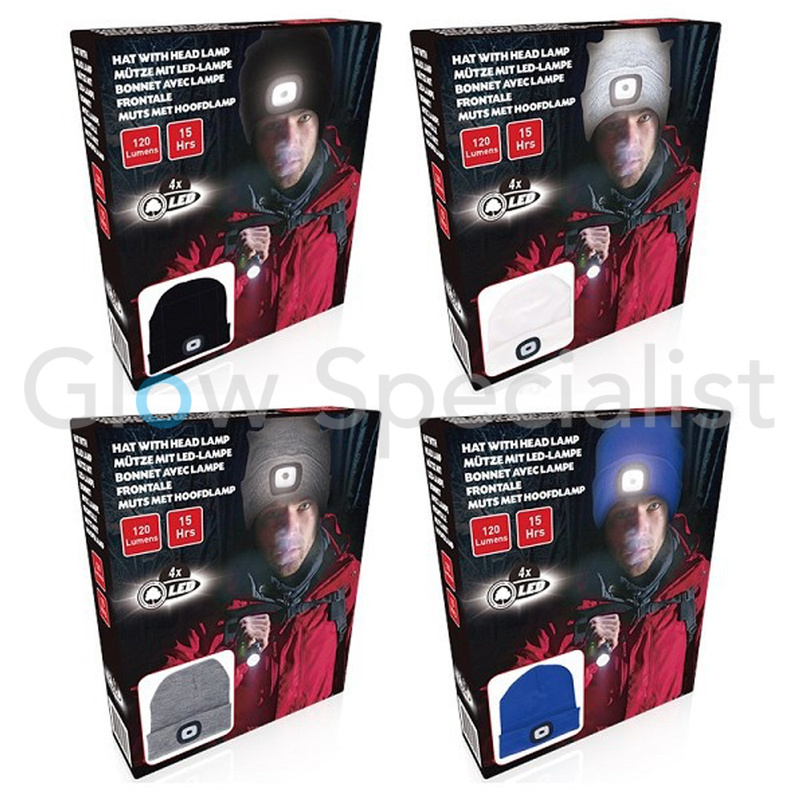 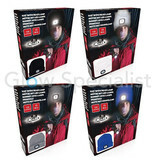 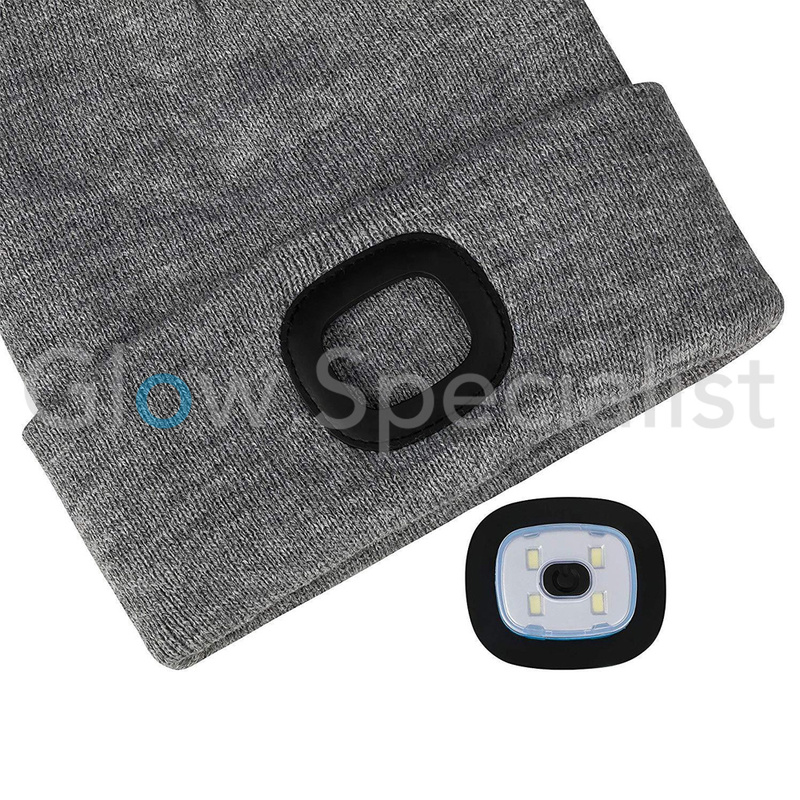 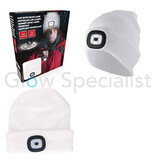 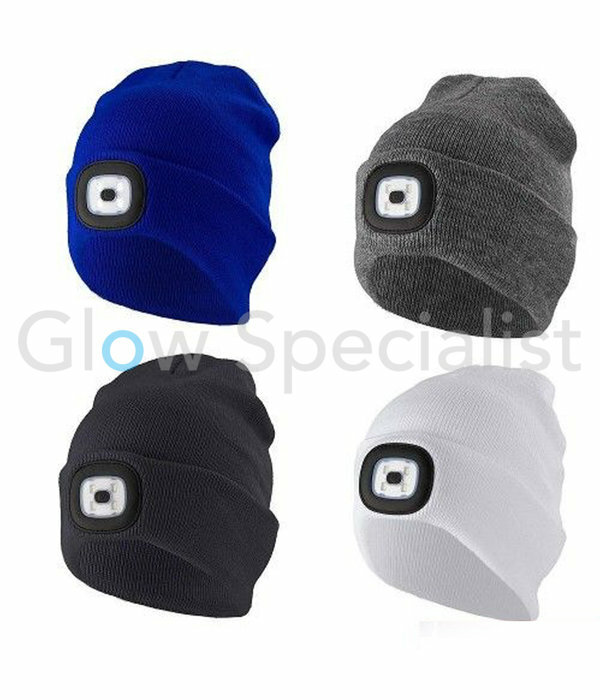 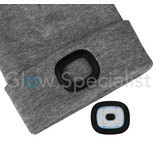 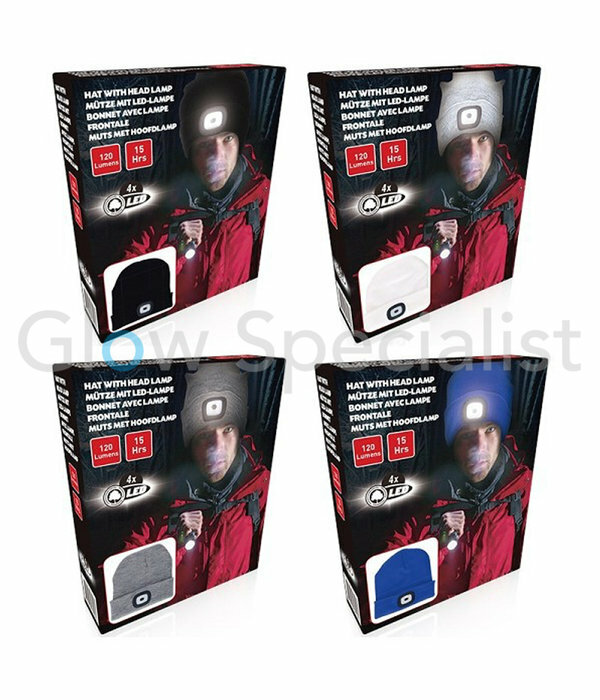 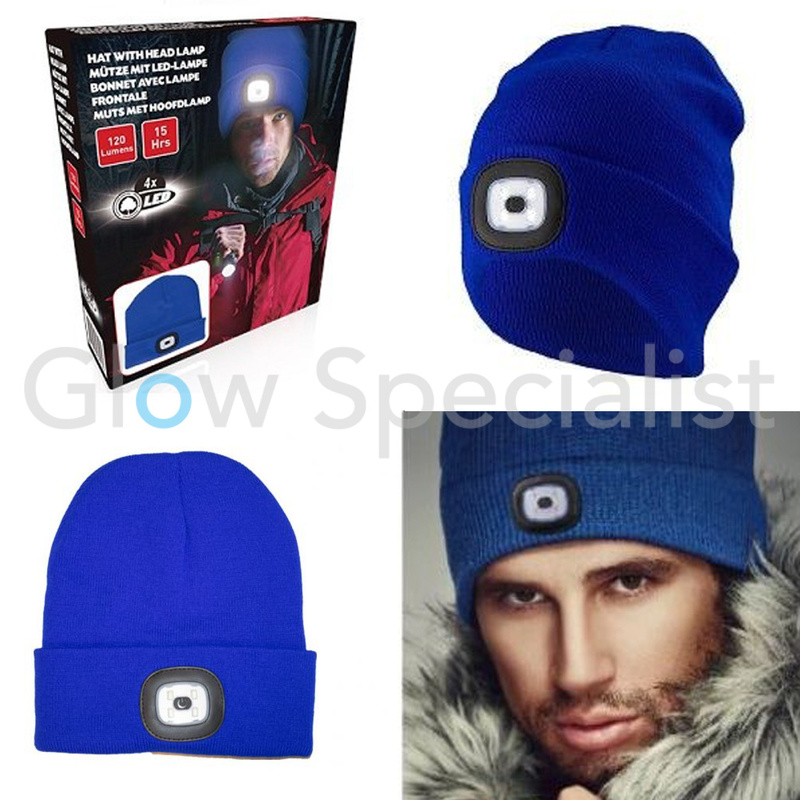 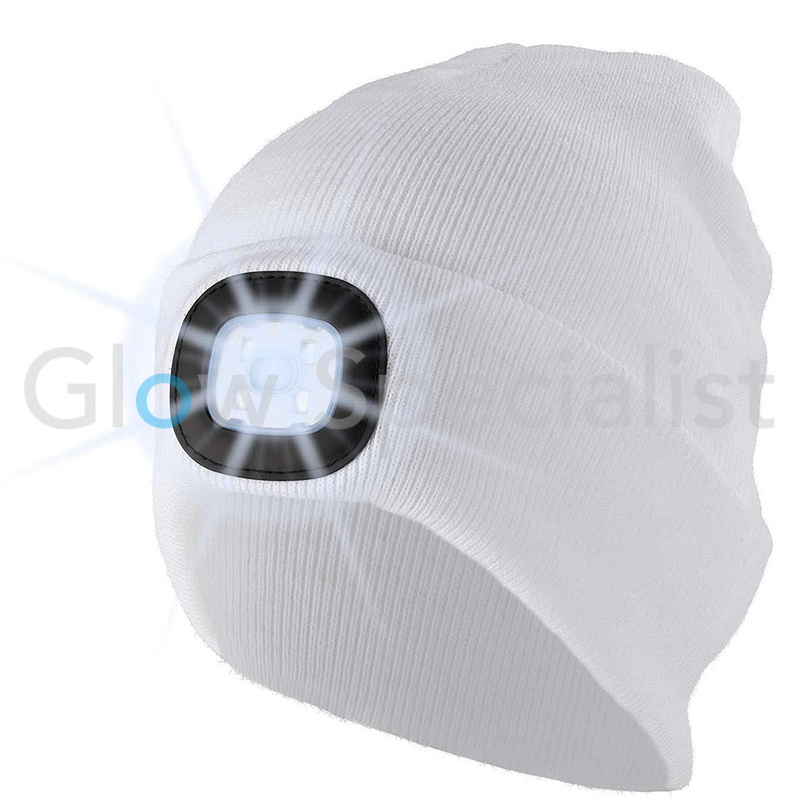 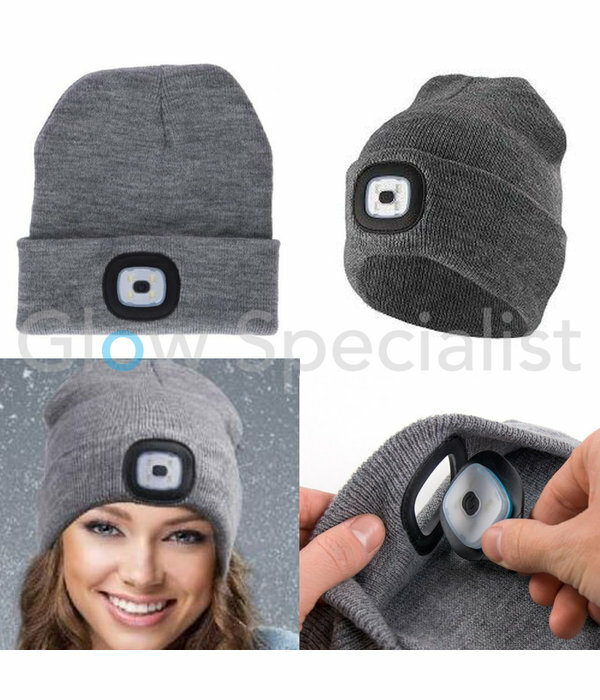 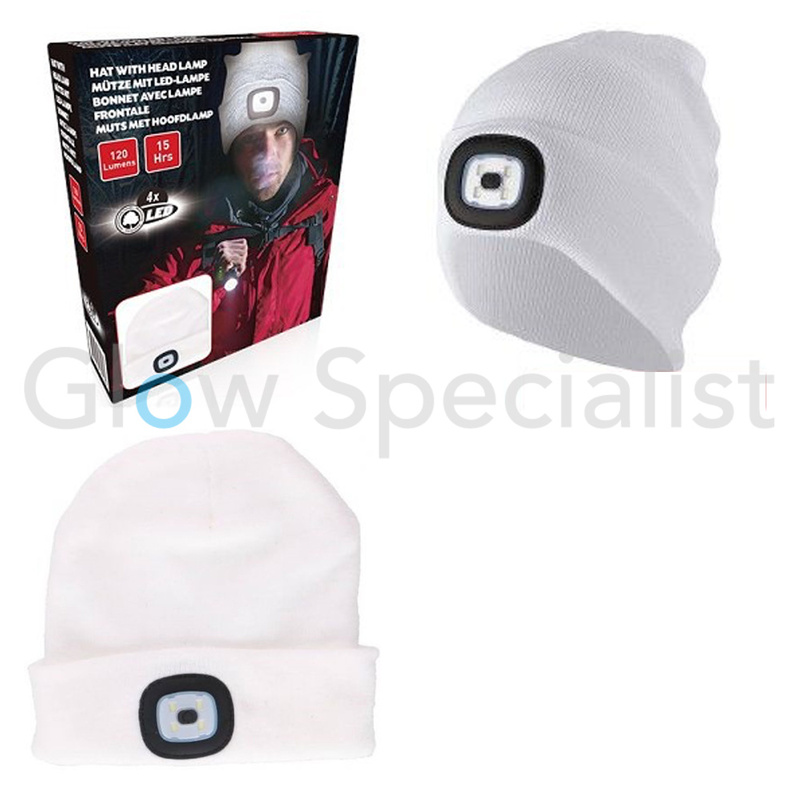 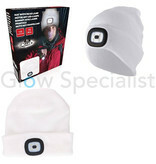 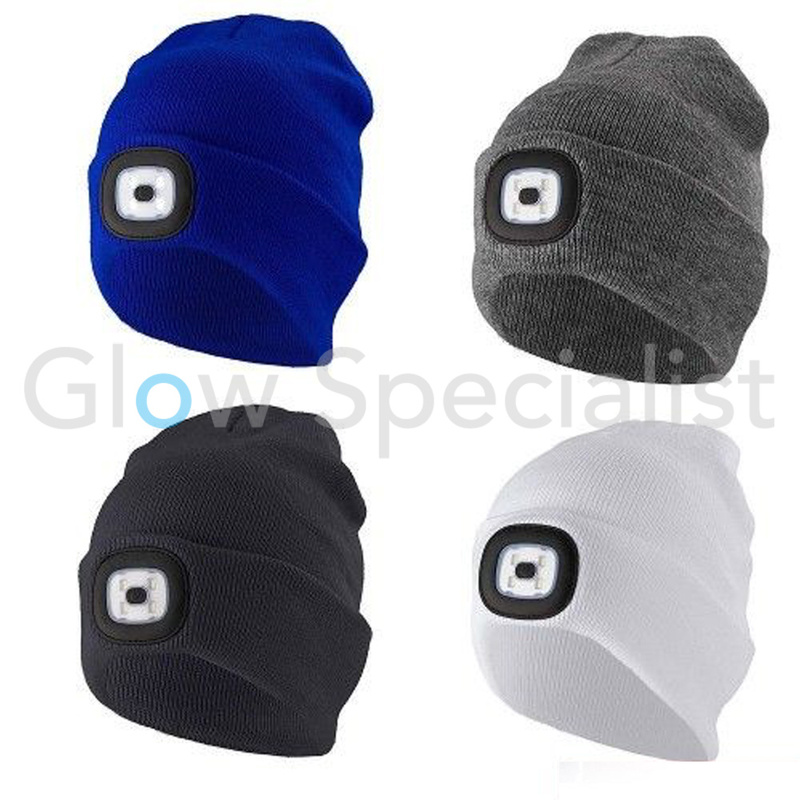 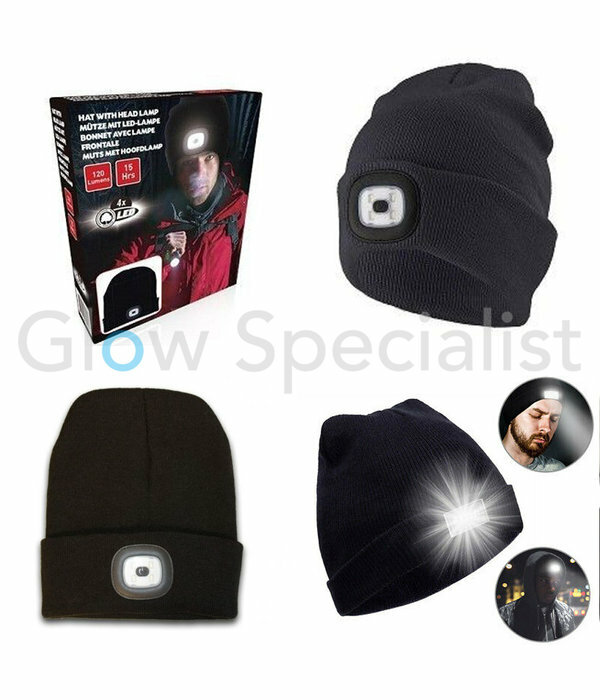 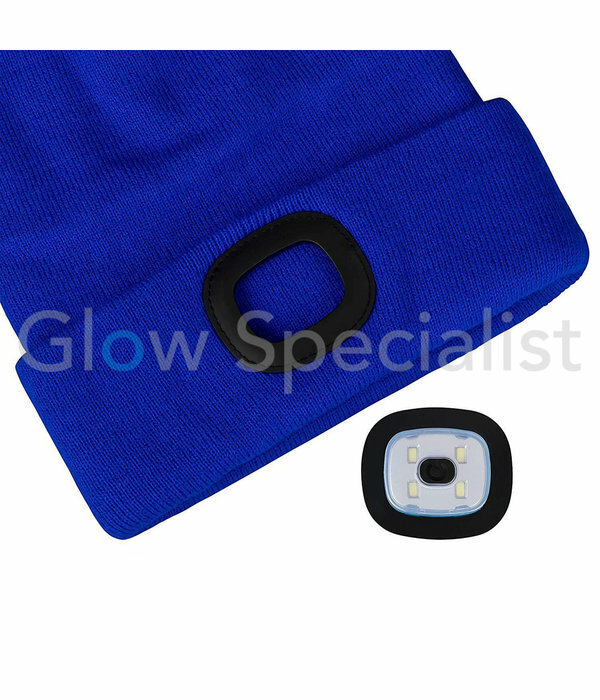 The beanie with LED light. 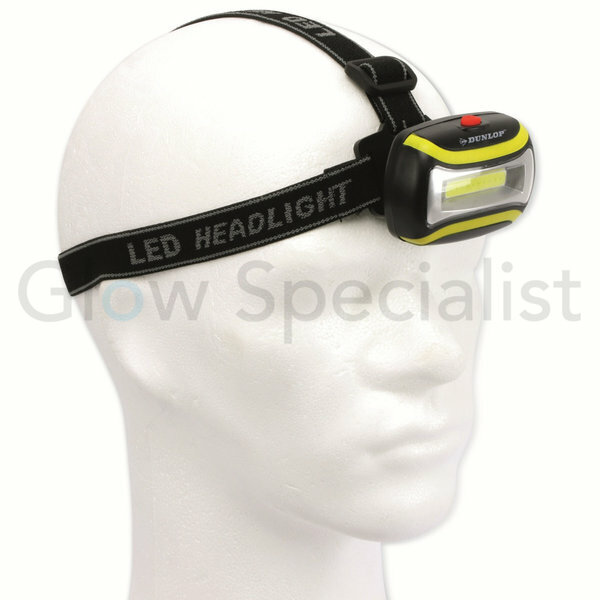 Very practical and useful in daily life! With this beanie you are always visible. 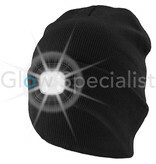 In addition, you also have a much better view in dark areas. 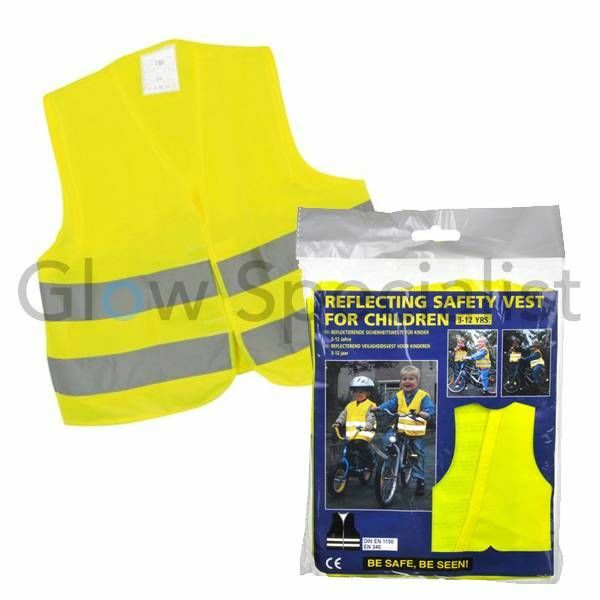 For optimum safety! 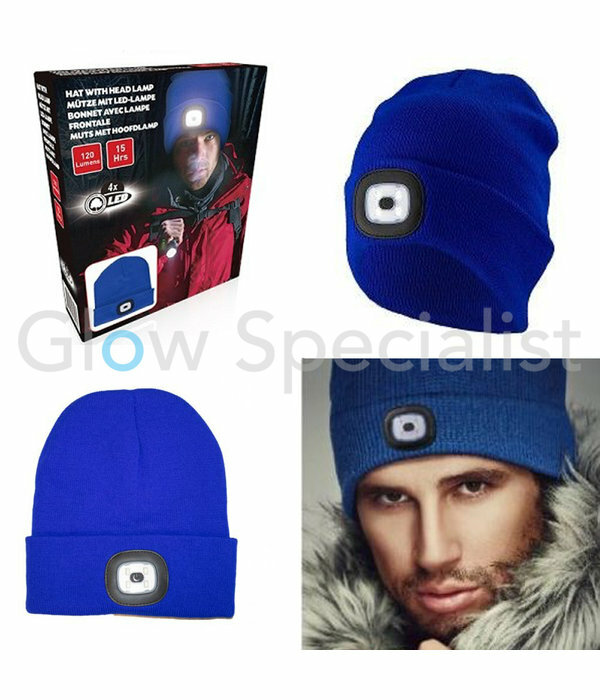 If you leave the house in the evening or in the morning, a little light during the shorter autumn and winter days is not a luxury. 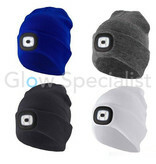 Whats not an unnecessary luxury at this time of the year is a nice warm beanie .... so why not combine them? 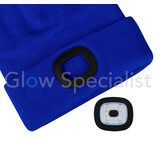 It is made of soft acrylic fibers, so it does not itch like wool. It's made of stretching material so it will fit almost every head. Stays comfortable around your head and your ears! 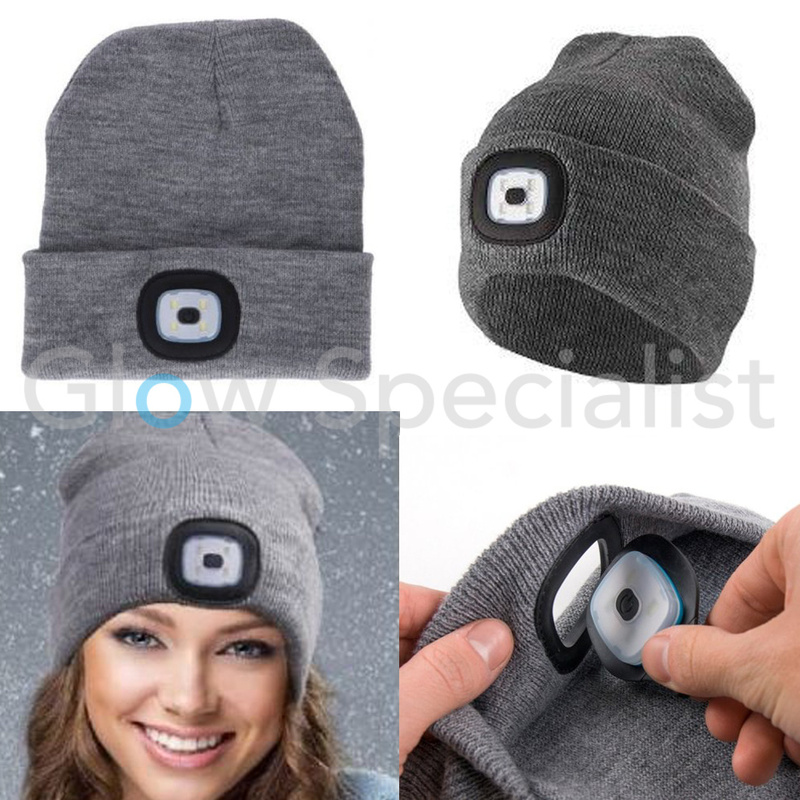 Light on? 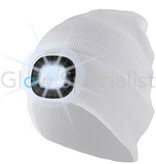 Press once on your "third eye", where the light is, it's also the on/off button and your beanie shines bright. 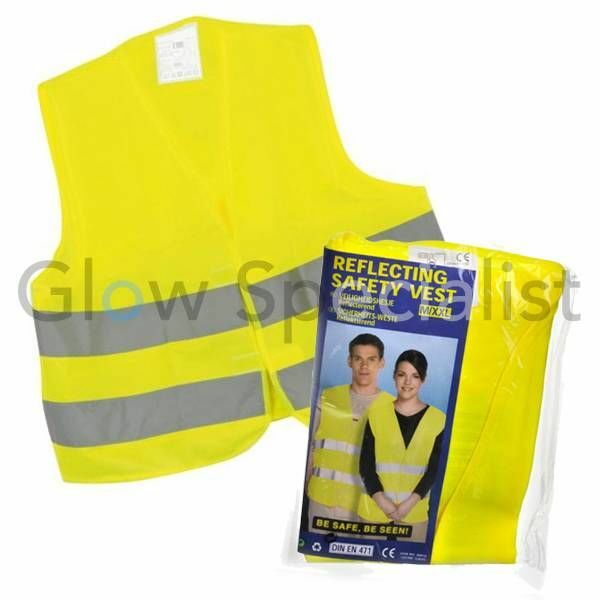 Fashionably and safe. 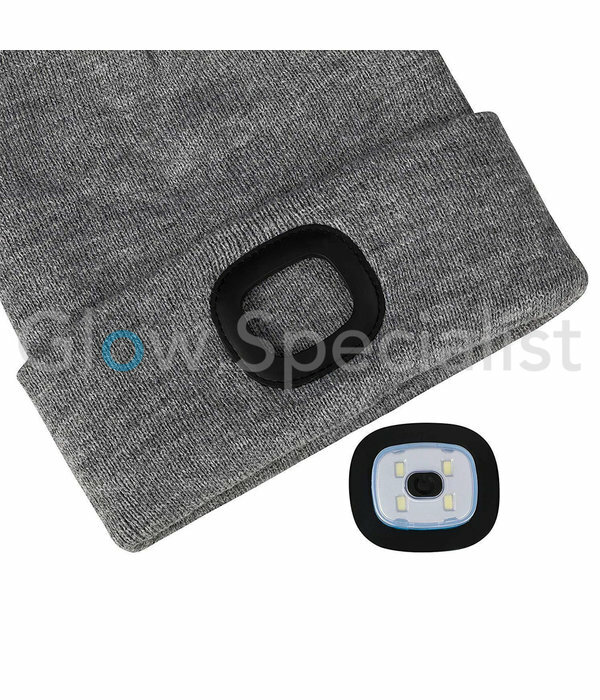 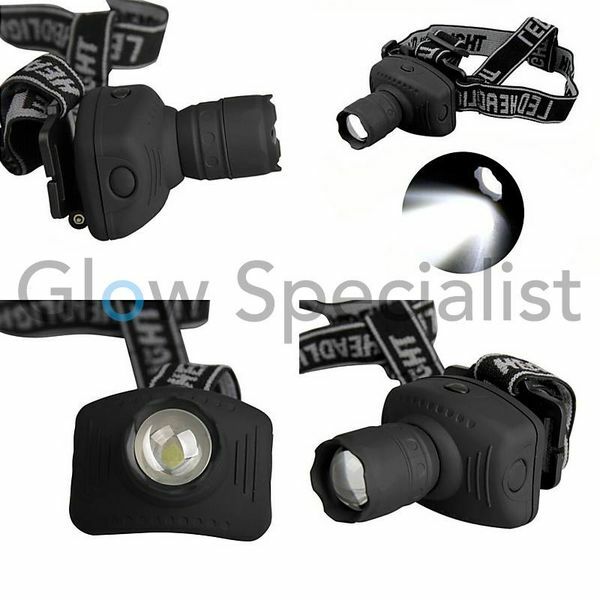 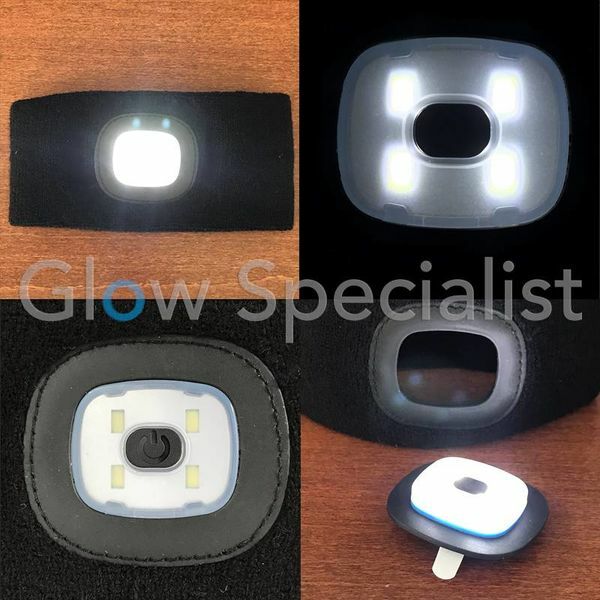 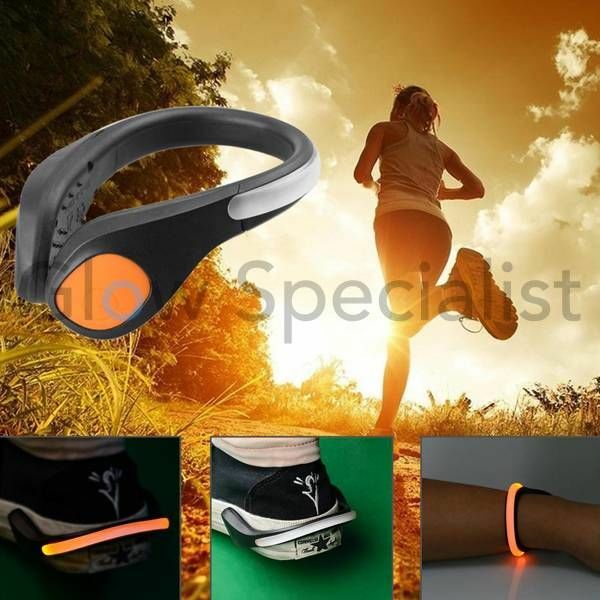 The LED light consists of 4 strong SMD LEDs that work on 2x CR2032 button cell batteries (included) and you can adjust the light to three different strengths. 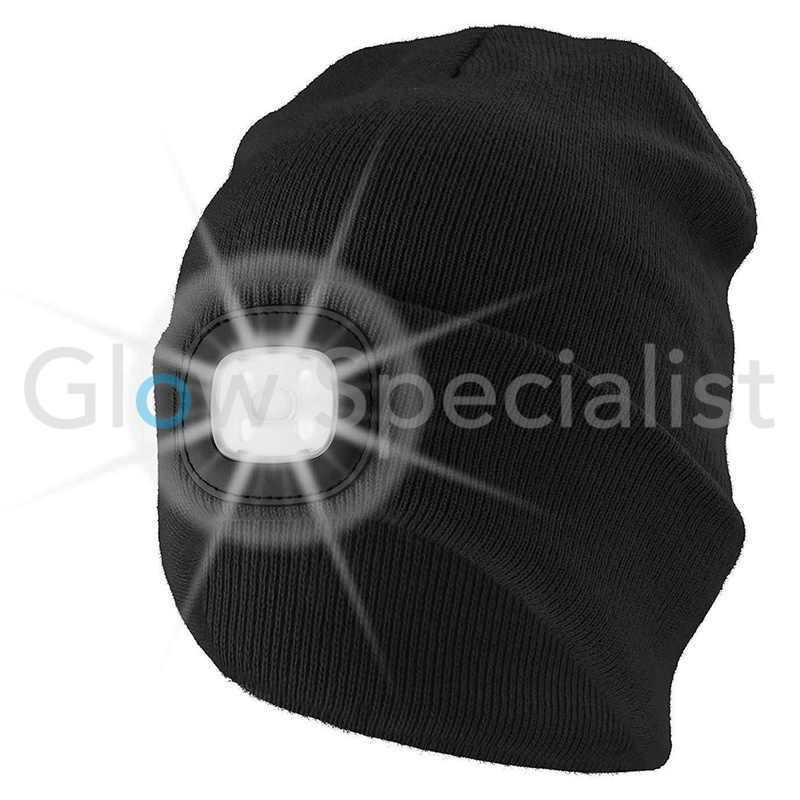 Pressing once produces a continuous, bright white light, clicking again and the white light changes into a medium light intensity. 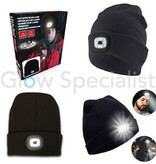 Another click and the light dims a bit more. 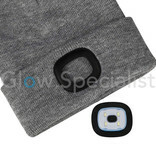 And press it again and the lamp switches off. 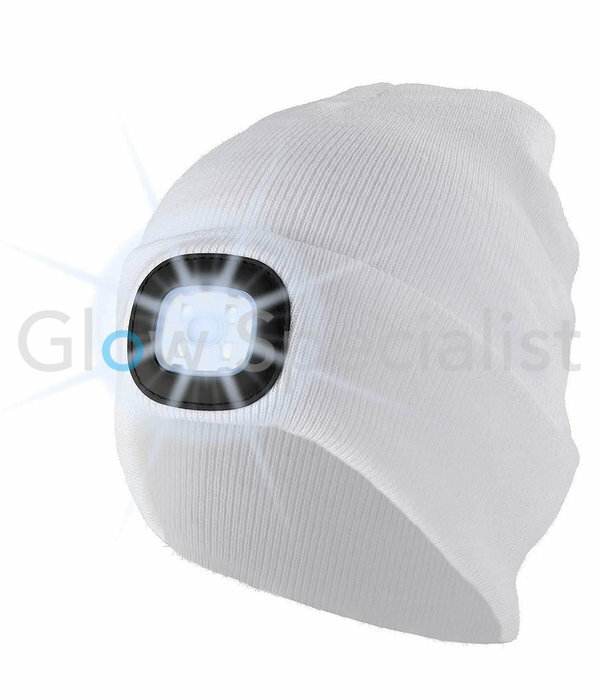 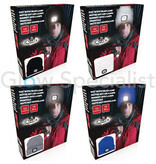 The light is also removable if you want to wash your beanie or for when you don't use it for a while.